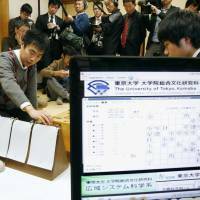 Five professional shogi players lost Saturday to computer programs in a public competition, stunning the world of Japanese chess. Hiroyuki Miura, 39, lost against the GPSShogi program in the last of the five matches in this year’s Shogi Master Versus Machine Match series. In the team competition, the humans lost three matches, won one and drew one. Miura, who played without a handicap, held the upper hand early in the game but gradually lost momentum in the middle. He has been a top-ranked shogi player since 2001. The first match was won by professional Koru Abe against a different computer program called the Bonanza. But in the second and third matches, players Shinichi Sato and Kohei Funae were defeated, and the fourth match played by Yasuaki Tsukada ended in a draw. After losing the game, Miura released a statement apologizing for “failing to fulfill his duty” to win the game. 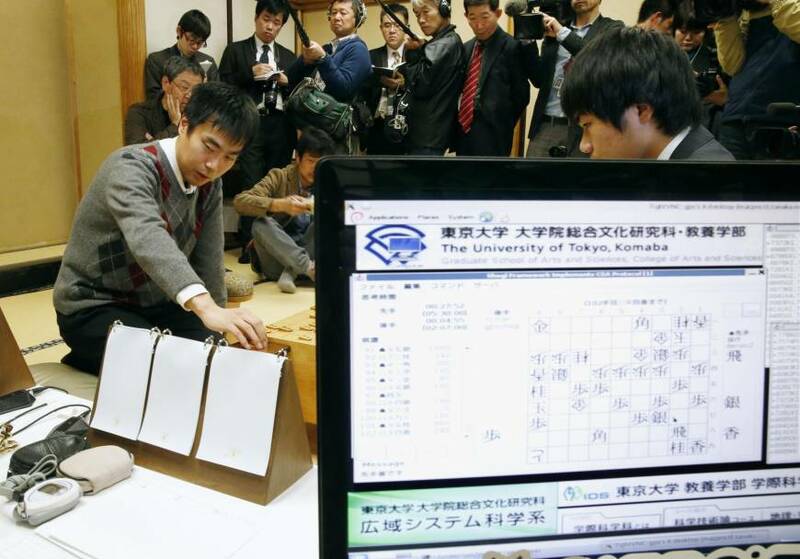 Tomoyuki Kaneko, a University of Tokyo associate professor who is a member of the team that developed GPSShogi, said he is “glad the computer functioned without any incident” but that he still can’t believe the machines actually won.